Some skin rejuvenation procedures involve taking away the upper layer of epidermis so that new tissue growth is encouraged. This is sometimes accomplished by performing a chemical peel. 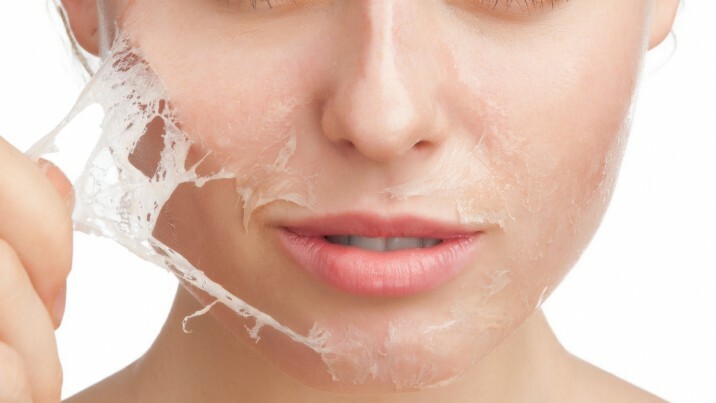 The peel affects the upper epidermis, eventually causing it to dry up and flake off. A more advanced treatment procedure is the Areton Aqua Peeling™, a multi-step cosmetic rejuvenation regimen that involves deep cleaning and exfoliation in addition to a skin peel. Choosing the right treatment depends on the severity of the problem, the amount of skin wrinkling, the skin tone and whether dark spots such as acne scarring are visible. A chemical peel involves the use of a mild solution that is spread on the skin and allowed to penetrate for a few minutes. The solution removes the upper layer of the epidermis while the lower dermal layers are unaffected. After a few weeks, a new layer of skin growth is completed and collagen production is accelerated. If dark spots are superficial, they will likely become far less apparent. Fine line wrinkles often become much less noticeable because the new layer of the epidermis is suppler and firmer. The Areton Aqua Peeling™ skin rejuvenation process involves a peel treatment as well, but it is only one of several cleansing and exfoliation steps in this popular cosmetic procedure. 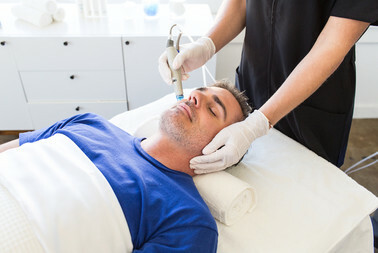 First, a special serum is applied to remove dead or damaged skin cells. Next, a mixture of solutions is spread on the skin to lift away the upper layer of the epidermis. This is followed by vortex suction to clean out pores. Finally, a nutrient-rich serum is applied to accelerate new tissue growth. Since the Areton Aqua Peeling™ treatment is far more extensive than a simple chemical peel, it if often the preferred method of cleansing, exfoliation, and skin nourishing. Another advantage of the Areton Aqua Peeling™ treatment is its effectiveness on all skin types. Most other peel treatments work best only on those individuals with a lighter skin tone. Both a chemical peel and the Areton Aqua Peeling™ skin rejuvenating treatment help smooth out the skin and diminish the appearance of fine wrinkles, smile lines, and crow’s feet. Most chemical peels are good for lightening up injury scars and other slight discolorations so long as these are located near the surface of the skin. The Areton Aqua Peeling™ is slightly more effective in reducing the appearance of deeper, darker scars or age spots.